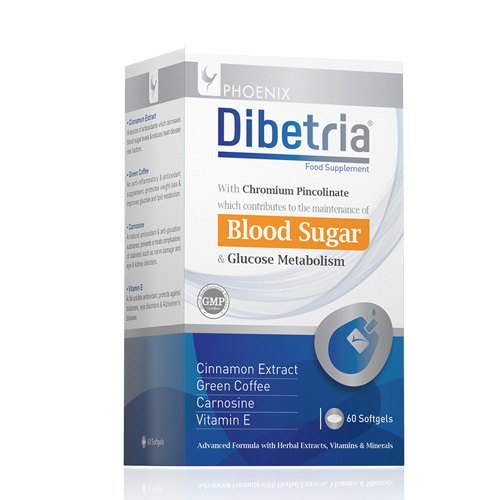 This product is a herbal, vitamin & mineral tailored made formula that helps regulate high blood sugar since it helps the regulation of key mechanisms which improve glucose metabolism, control and tolerance. While regular exercise and healthy diet are necessary to lower blood sugar, but these are not comprehensive approach for natural management of diabetes. Food supplements play an important role in controlling diabetes. 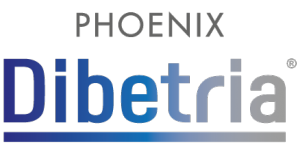 Phoenix Dibetria® is a vitamin and mineral supplement for those who wish to safeguard their daily diet with key vitamins and minerals. It is not a treatment for diabetes, but helps maintain overall health and wellbeing in diabetic patients. 2 softgels daily, 1 before breakfast and 1 before dinner.